She fixed the voting snafu and now you can vote more than once...so feel free to vote more than once! About a month ago I was lucky enough to guest post over at Someday Crafts. Here is the tutorial I did for her site. Thought I would now pass it along here, just for those who may have missed it. Back tomorrow with a new tutorial...well as long as the sickness officially leaves our house. WHAT is with summer colds??? First: You will need to spray paint your washer with your chosen color. It will take several coats. Slowly outline and then fill in your washer. Make sure to follow the instructions on the Diamond Glaze...allow for proper time to dry...it will take a couple of days. here is a tutorial I recently did for this technique. 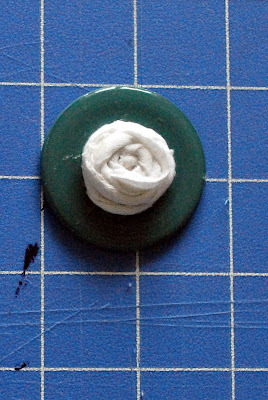 Now that you have a rolled t-shirt flower, hot glue it onto the center of your washer. To make the cuff, measure the length you need to go around your wrist. Cut two strips out of felt measuring that length by the width of 1 1/2". To attach the snap, figure out where the closure will need to be. Mark that spot. Make a small slit with an exacto knife for the snap pieces to go into, and then follow snap instructions. 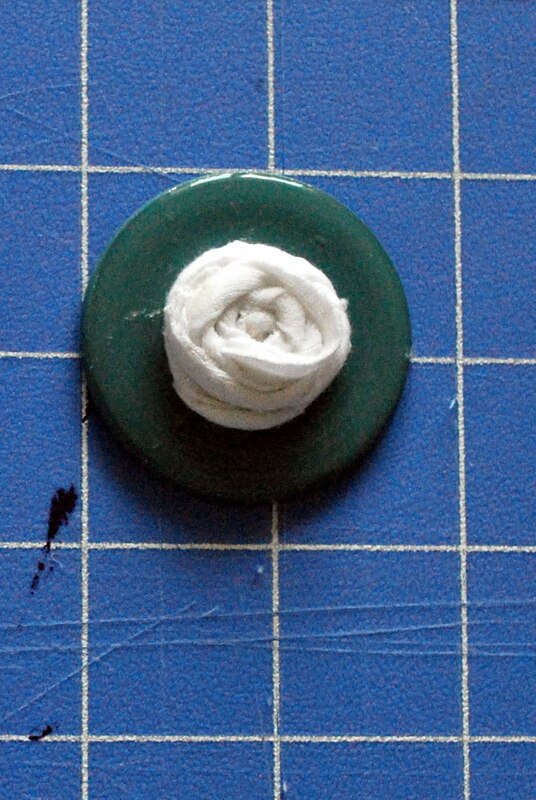 Once the snap is in place, hot glue your washer onto the felt cuff. Now you have a great and original piece of cuff jewelry. So easy to make and so cute. That is really cute. I had never heard of that diamond glaze stuff but it is magic! This will go on my "to craft" list. SOOOOOOOO CUTE!!!!! I Will try to find snaps, e and will try! Then, i send you a foto, ok? Thank you so much for this simple great idea! Thanks for a really cute bracelet my grandkids will really love these. May I ask what is the size of the washers...it appears in the tutorial as the center is larger in the finished one than in the supplies picture. Is there a size I would ask for?